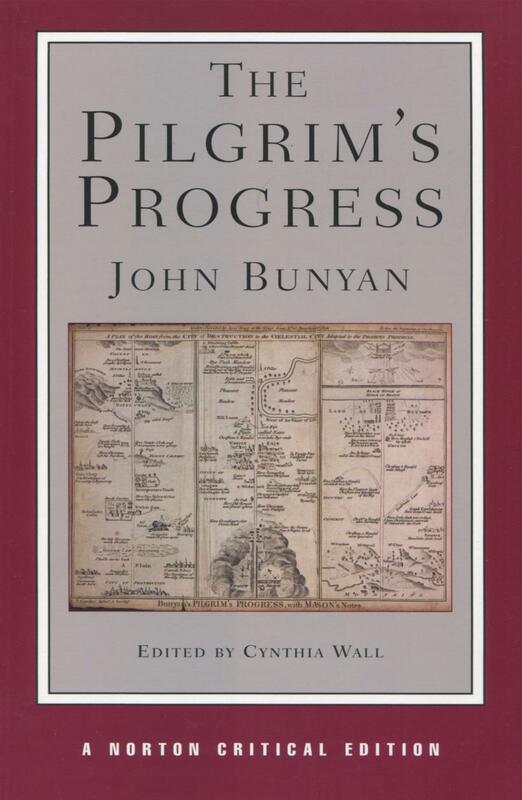 The Pilgrim’s Progress is John Bunyan’s allegory for Puritan morals and teachings, set in contrast to the growing Anglicanism of his day. It follows the pilgrimage of a man named Christian (and later his wife Christiana) who has been called to the Celestial City, or heaven, and meets several characters along the way (like Evangelist, Mr. Worldly Wiseman, Goodwill, and Beelzebub) that either help or hinder him. Christian’s steadfastness when confronted with obstacles is meant to convey the pure soul of a Puritan. With its plain style, anthropomorphized virtues and vices, and simple narrative structure, it was immensely popular in its day and was quickly translated into other languages. John Bunyan (1622-1688) was a Puritan preacher in England who, after the restoration of the monarchy and Anglican Church, refused to stop preaching and was thus imprisoned. While in jail, he began work on his most famous work, The Pilgrim’s Progress.